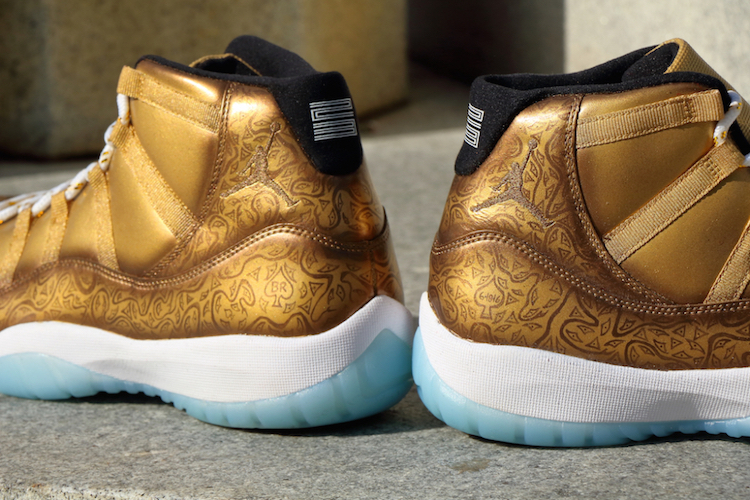 This Air Jordan 11 Ace of Spades Custom was designed by HaveAir Customs that were inspired by Ace of Spades champagne and Jay-Z and Kanye West’s Watch the Throne album. Using the “Legend Blue” Air Jordan 11 as the base, this Air Jordan 11 Custom comes dressed in a full Gold tonal motif, that includes matching Gold patent leather and heel. Other details include a print pattern seen on the Ace of Spades champagne bottle overlaying the patent leather and heel areas. Completing the look is a White midsole and Blue icy outsoles. Take a closer look at this Ace of Spades inspired Air Jordan 11 Custom below and let us know what you guys think in the comments section. 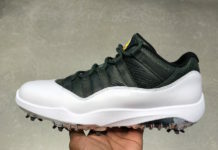 How many of you would rock these?